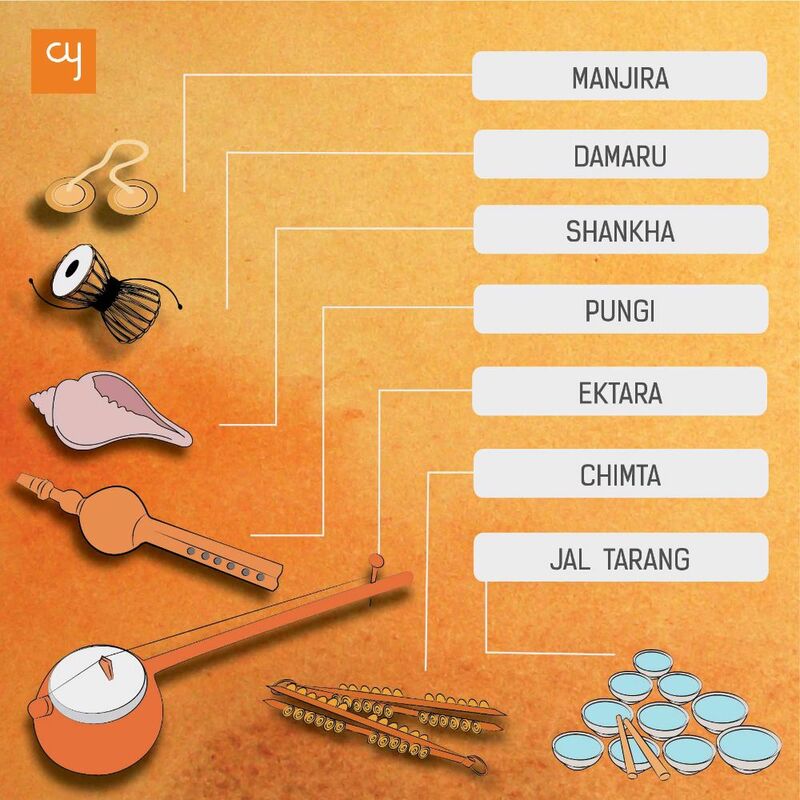 This week Team Creative Yatra’s #knowledgeday initiative on Guru Purnima was an effort to bridge the gap between rituals and factual understanding; that is how we create enrichment for our patrons. 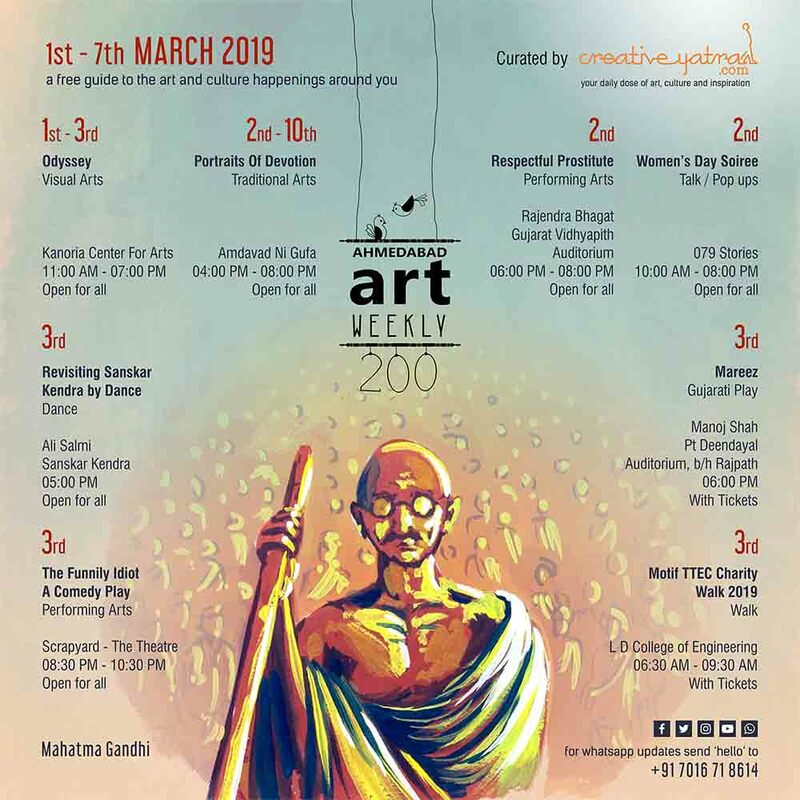 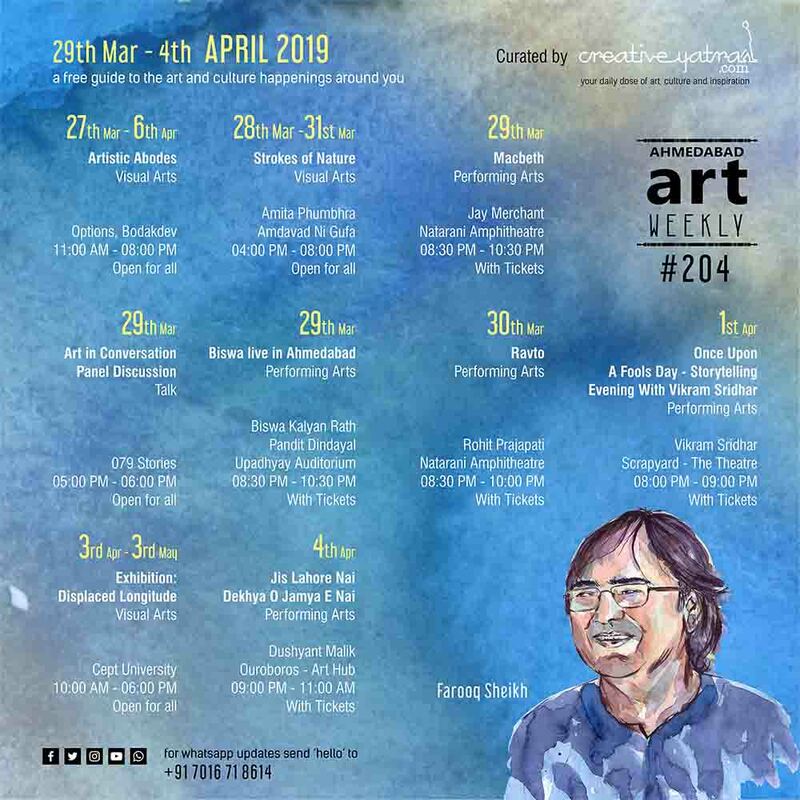 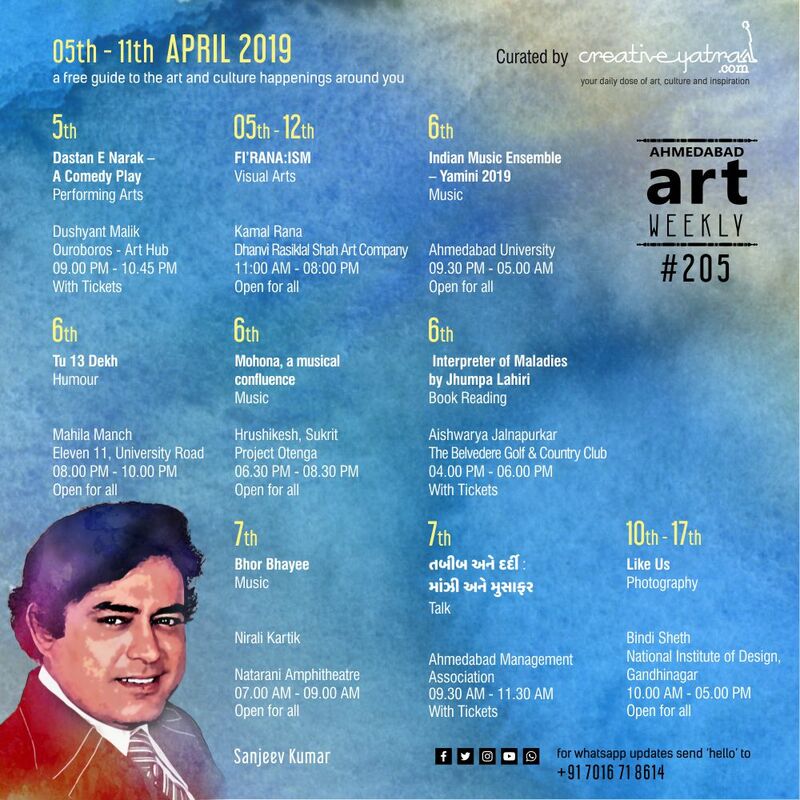 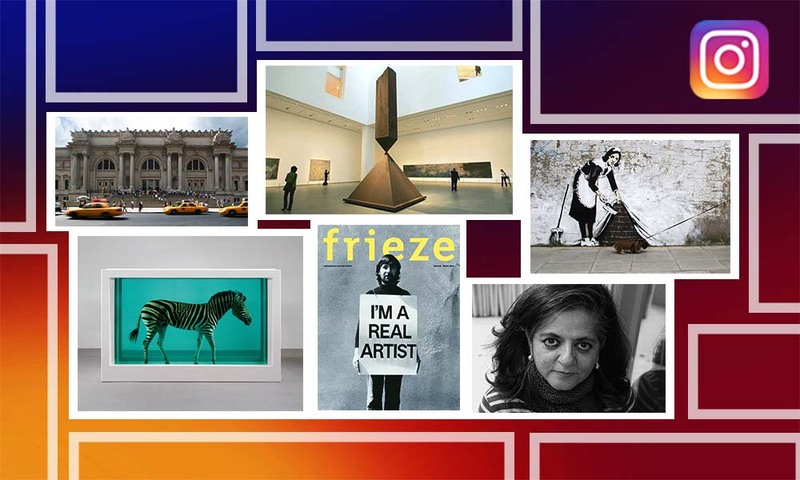 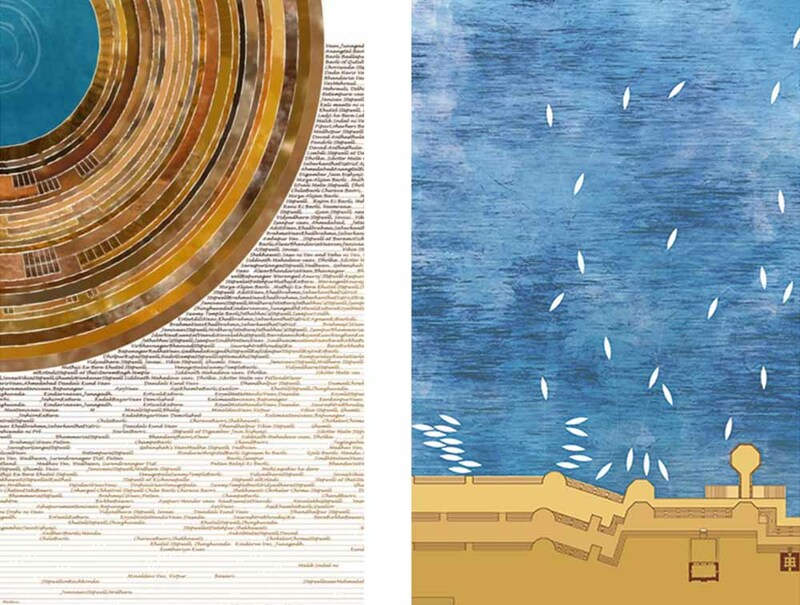 Ahmedabad Art Weekly has been an enriching informational piece for thousands of Amdavadis now and this week we bring you the 68th AAW with some of the most happening events of the city. 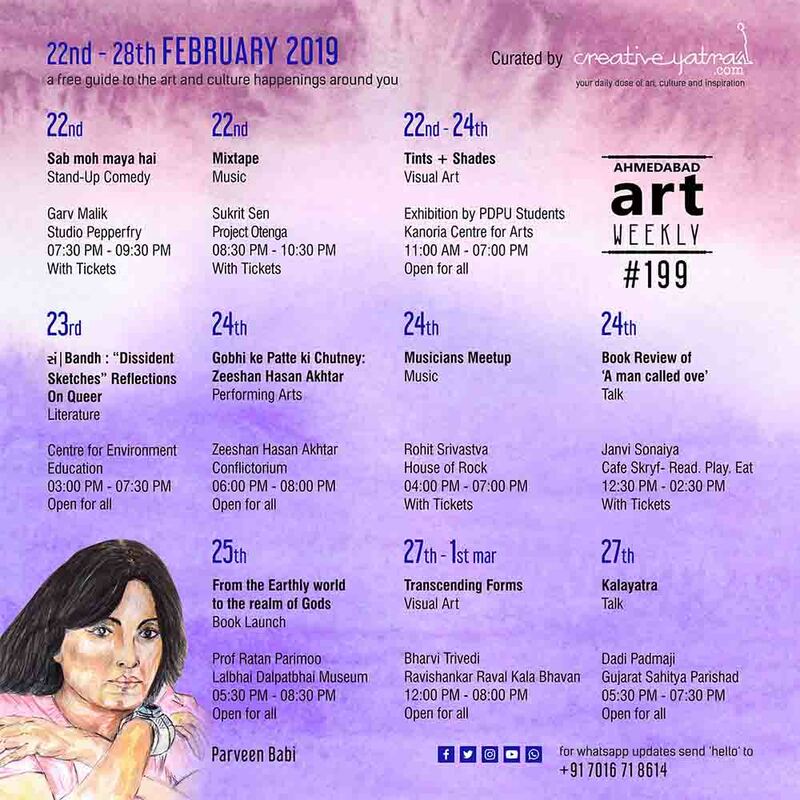 Additionally, this week we apologize to our patrons if their requested event couldn’t make it to the 68th AAW, as we had to get on a curatorial short listing process from the flooding event applications. 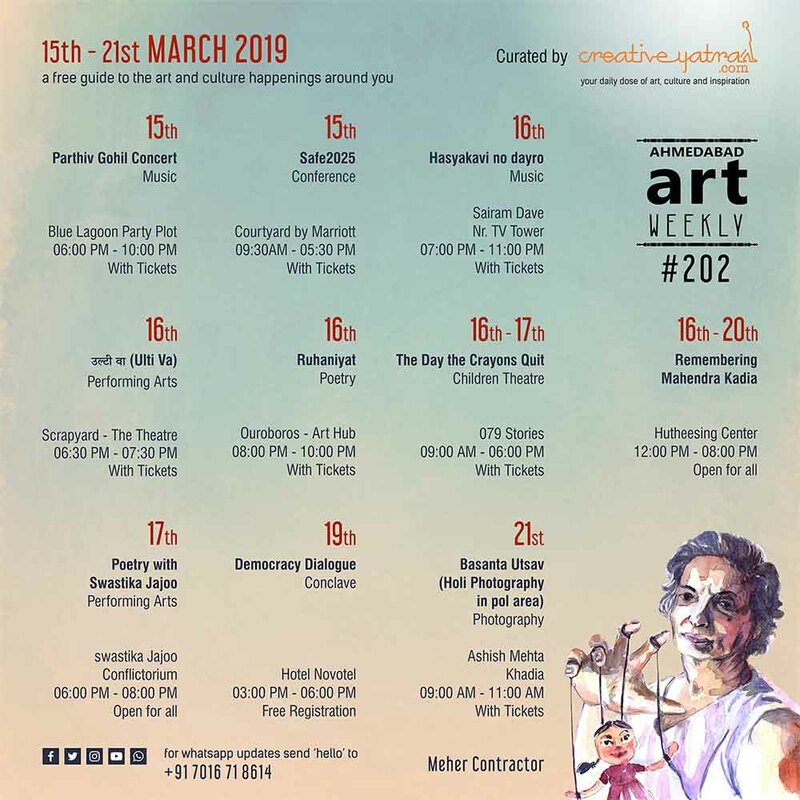 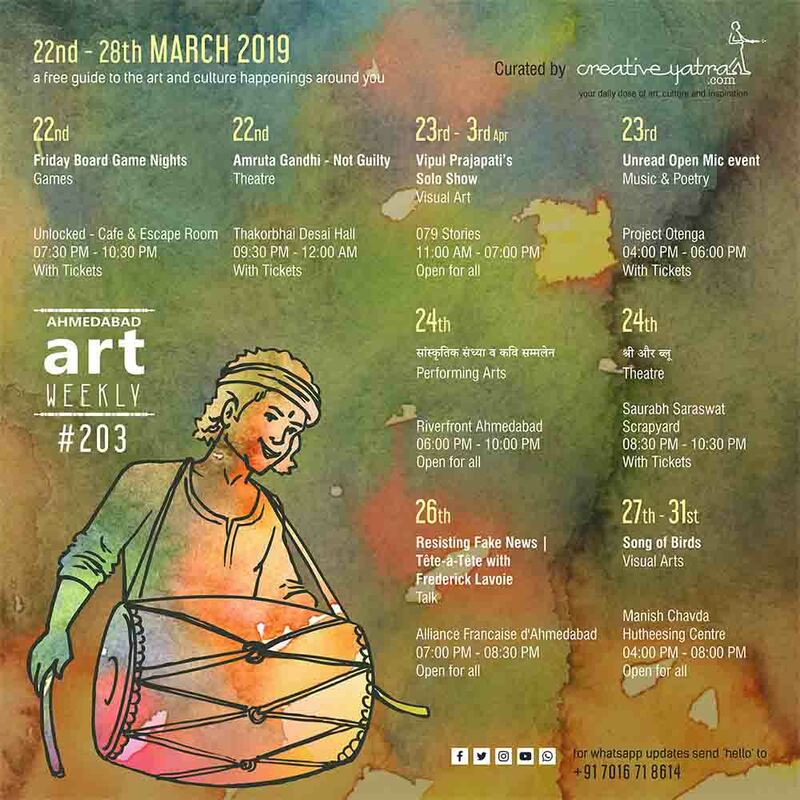 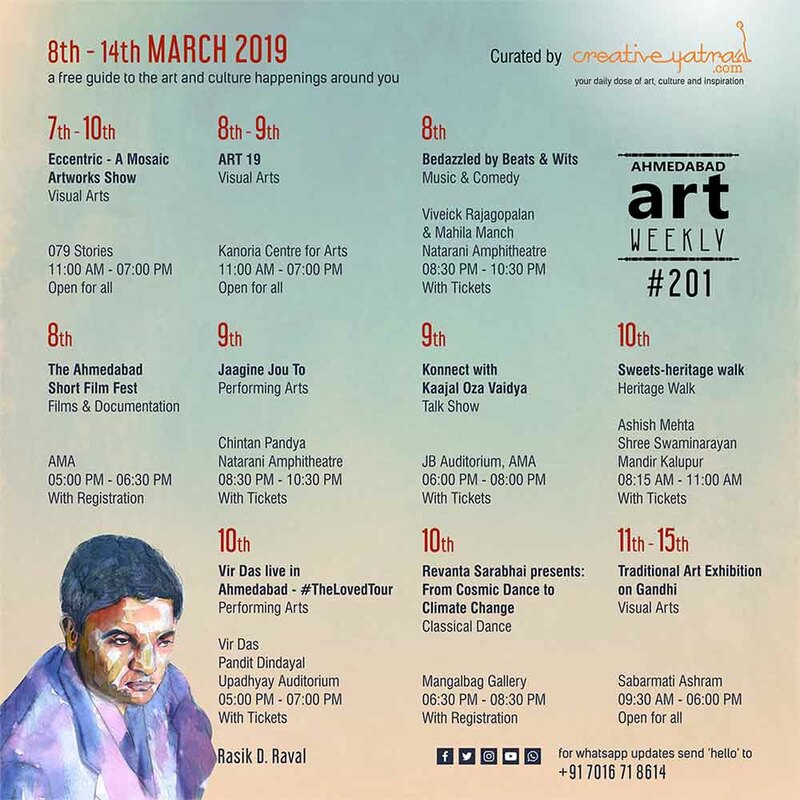 The overflowing creativity has brought to you picturesque art exhibitions, jaw-dropping theatrical performances, mesmerizing musical evenings and a gaming fusion event this week. This week we remember Ranchodlal Chhotalal the Rao Bahadur of India, whose name still echoes amongst the city walls. 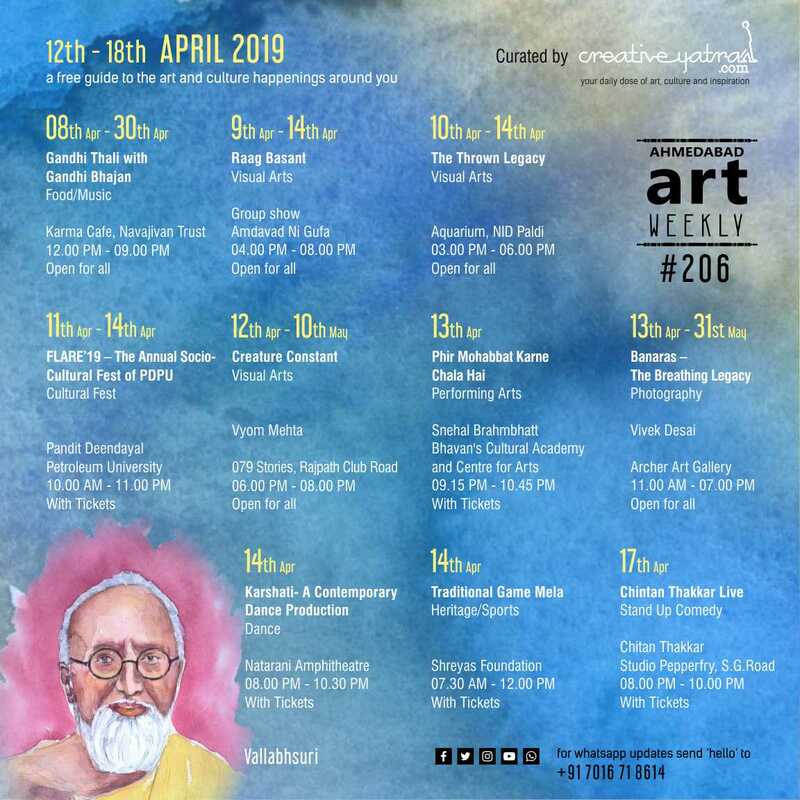 The legendary textile industrialist is one brave soul, who founded and restarted the Gujarat College in 1879, he also donated money to the Gujarat Vernacular Society to start a girl’s high school which is still functional under the name of RB Ranchhodlal Chhotalal Girls High School. 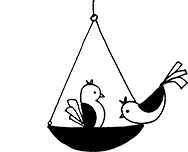 The pioneer of textile industry delegated his life in the welfare of society. 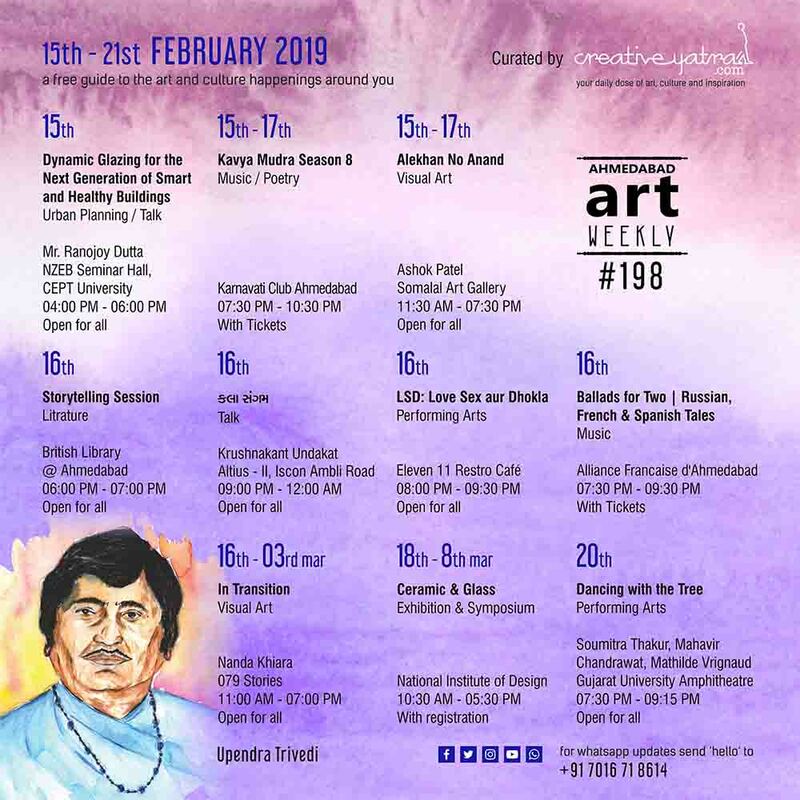 As the first President of Ahmedabad Municipality, in 1885, he undertook the mammoth project of building underground drainage and water supply work. 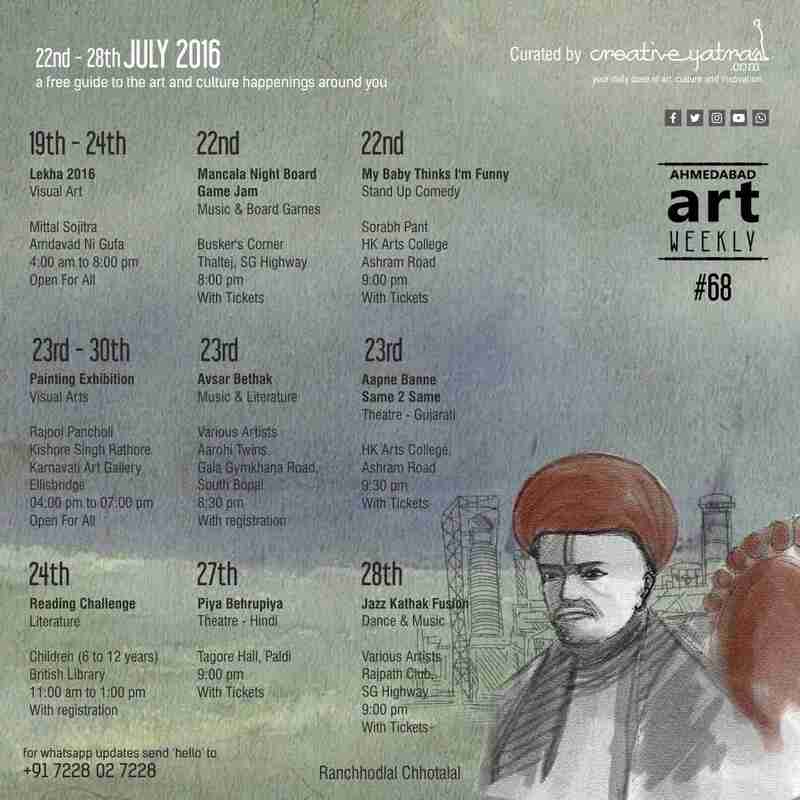 The city owes a big gratitude to this personality, who thought welfare over wealth for the city residents.